Should Lexus go a step more aggressive with an amped-up RC F roadster variant in the future? If the beautiful concept it showed this week at the Los Angeles AutoShow is any indication, it might be a distinct possibility. 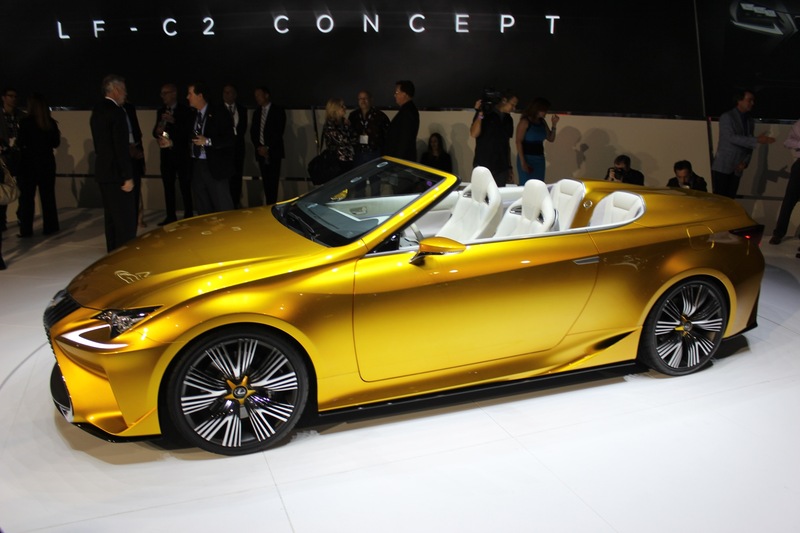 And in any case, with the LF-C2 Concept that made its debut at the Los Angeles Auto Show this week, Lexus is dropping plenty of hints that it’s considering even more daring and beautiful designs. The LF-C2 is a 2+2 roadster, yet it’s about 186 inches long, 72 inches wide, and nearly 55 inches high—all dimensions that put it right in line with the current RC coupe, which we were expecting. Triangular LED rear lamps, front bumper vents, quad exhaust tips—likely hinting at a V-8, as we see it—and fin-like rear diffusers all play well with the super-swoopy sheet metal, and the car’s stance is especially confident and nicely proportioned. Inside, the layout looks far more cockpit-like than the current RC, with sport-contoured seats, a central video monitor, and a Remote Touchpad system, with an analog clock in the center. Yasuo Kajino, designer of the LF-C2, and chief designer for Lexus International, the brand’s design division, told us on the Lexus stand, shortly after the reveal, that the LF-C2 incorporates some boundary-pushing design elements—like the new rear combination lamps, and the sharp, braided-mesh grille.